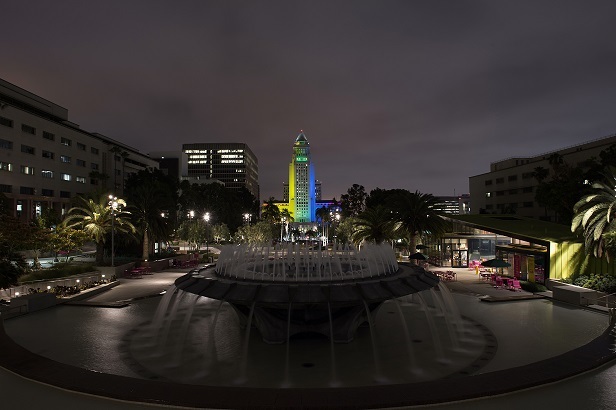 On July 5, 2016, the Los Angeles County Board of Supervisors voted to place a parks funding measure on the November 8th general election ballot. 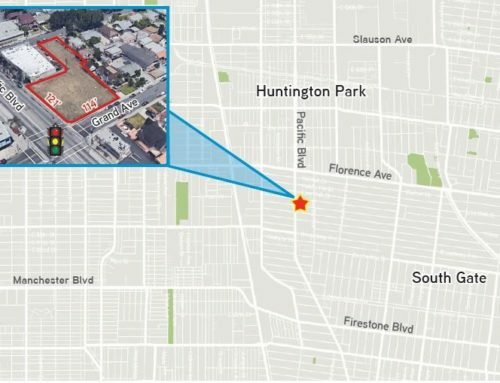 The proposed measure would authorize an annual parcel tax of 1 ½ cents per square foot of structural improvements on all taxable properties in the County of Los Angeles. For a 1500 square foot home, the annual tax will be $22.50, which amounts to less than $2 per month. 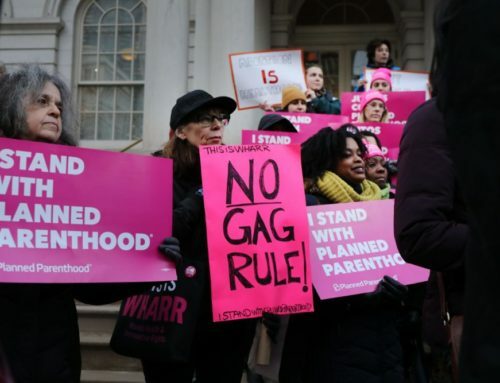 Where will the funding go? The measure will ensure dedicated local funding for parks and replace the existing local funding mechanism set to expire soon. 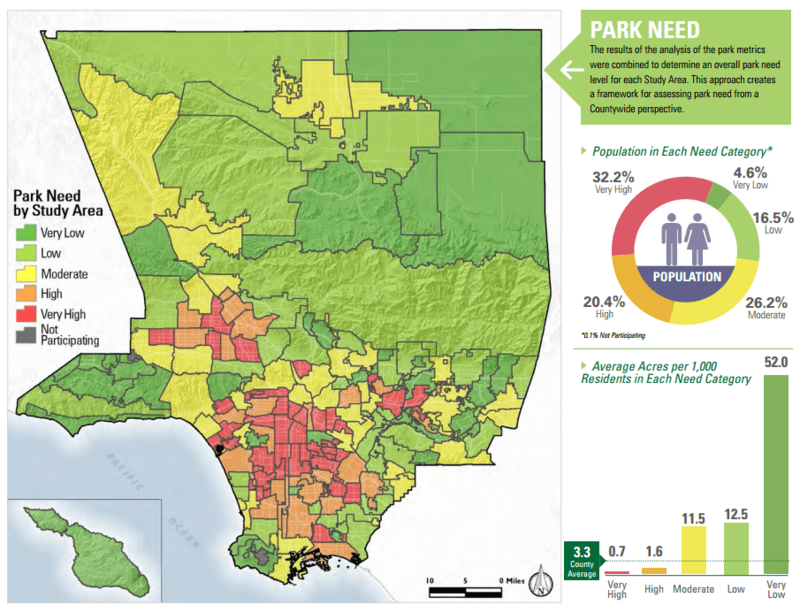 Areas throughout LA County are at high or very high need for parks. Click to enlarge. 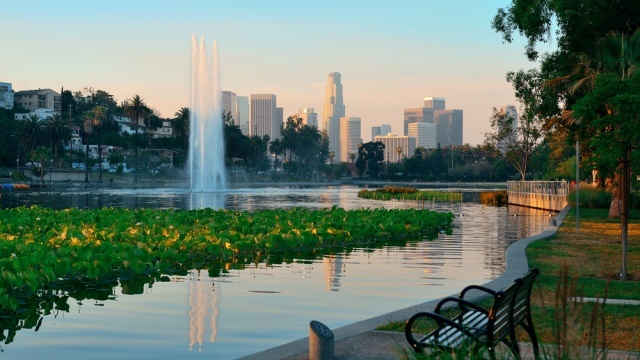 Over half of the population of Los Angeles County is considered high or very high need for parks. And still more find their existing parks in the need of repairs and maintenance, according to the Parks Needs Assessment. 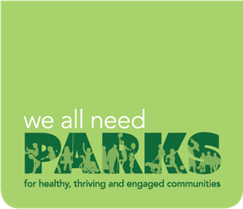 The Park Needs Assessment found that $21.5 billion is needed for prioritized projects and deferred maintenance in parks and recreation facilities throughout the County. 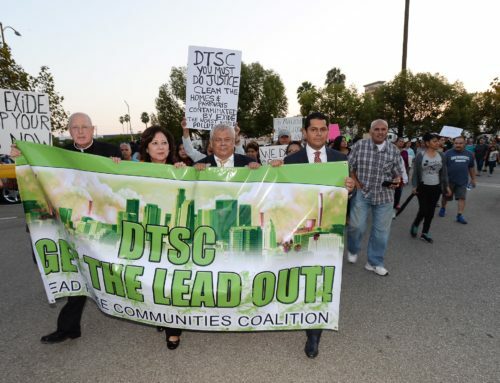 It is an extraordinary need that will require commitment to make sure our residents have access to local and regional parks, lakes, trails, golf courses, cultural event facilities, natural areas and botanic gardens that make living in LA County so special.